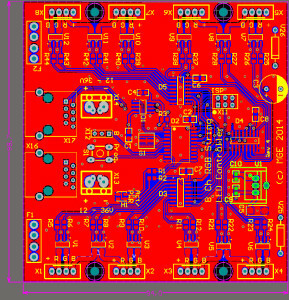 I have previously designed and biult a 8 channel RGB strip controller. This controller has served well. 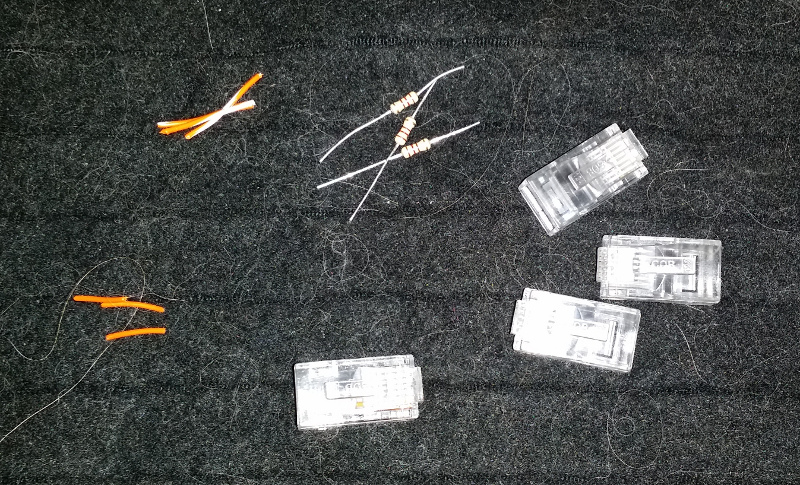 But sadly the output transistors have gone End of Life. I did two things to rectify this situation, I found a replacement device and ordered 500 to try out. I also decided to look for some smaller devices and have been taken with the DMN6040SSD-13 yu Diodes Incorporaate. 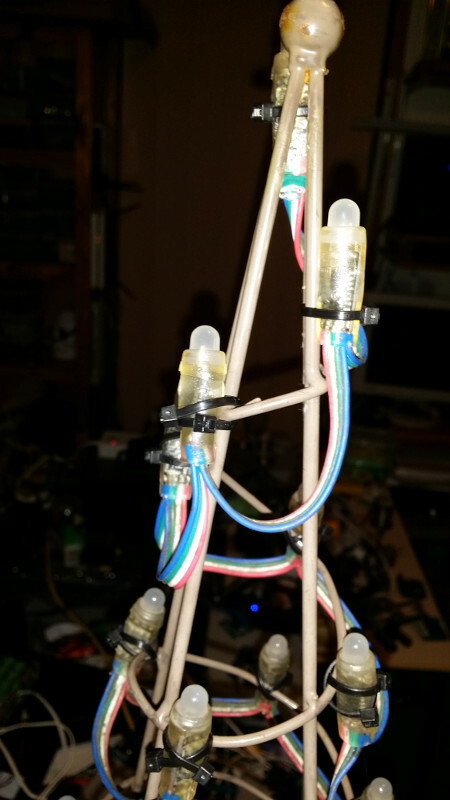 I also added a couple of fuses , Rj45s and dropped the switch mode power supply for a simple linear. For 12Volt operation this is fine. 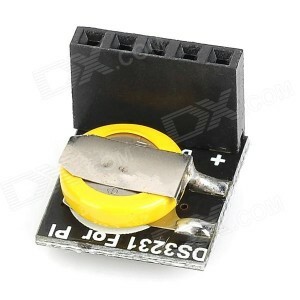 for higher voltages, I will change the LM7805 to Murata Switcher. – Now to test the unit. DMX512 employs RS-485 differential signaling at its physical layer. DMX512 uses a unidirectional simplex communication protocol. the following is a paraphase from Wiki: DMX512 is a bus network that works upto 1,200 metres long, provided you don’t have more than 32 receivers on a single bus. If more than 32 recivers are needed in a single universe, it can be expanded across parallel buses using DMX splitters. DMX wiring consists of a shielded twisted pair, with a characteristic impedance of 120 Ohms, with a termination resistor at the end of the cable furthest from the controller to absorb signal reflections. Go read some more here. Traditionally the christmas lights fraternity add DMX terminators to each controller withe link pack to select the terminator if it the the last one on the bus. I have added thenm to most of my designs too. 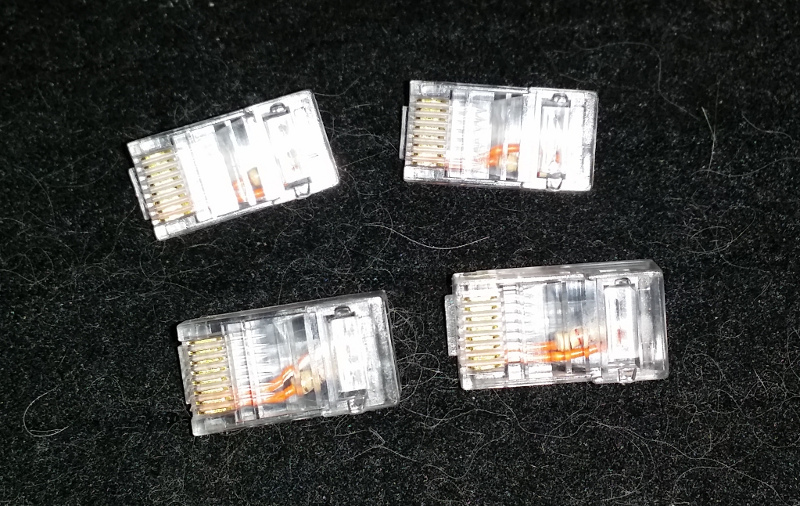 For example X10 on my 8Ch DC Controller. But here’s the rub. I never fit the link packs. I too lasy. and then I forget which one has the terminator installer. So I so a for more visual termintator. These terminators are a cinch to make and are pretty reliable too. the cost is super good. the last lot cost me 6.5 cents each. Bent one end of the resistor lead back over the body of the resistor. 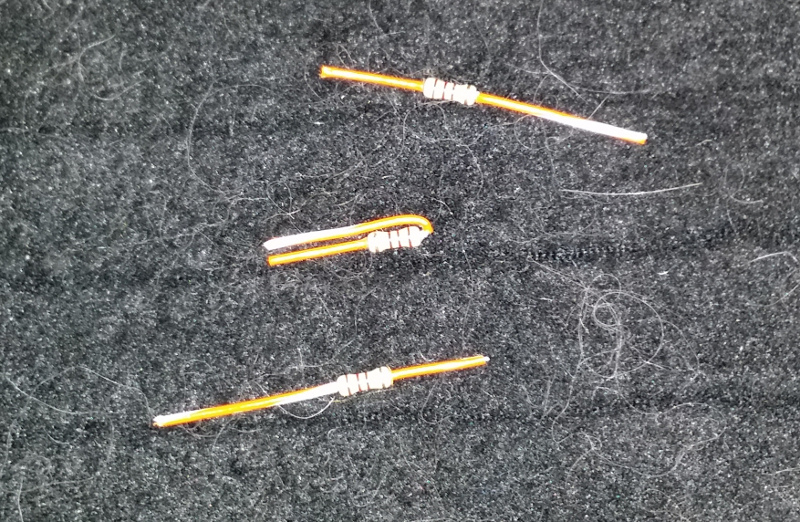 Place the resistor on the outside of the body with the two leads alnign with the pins. 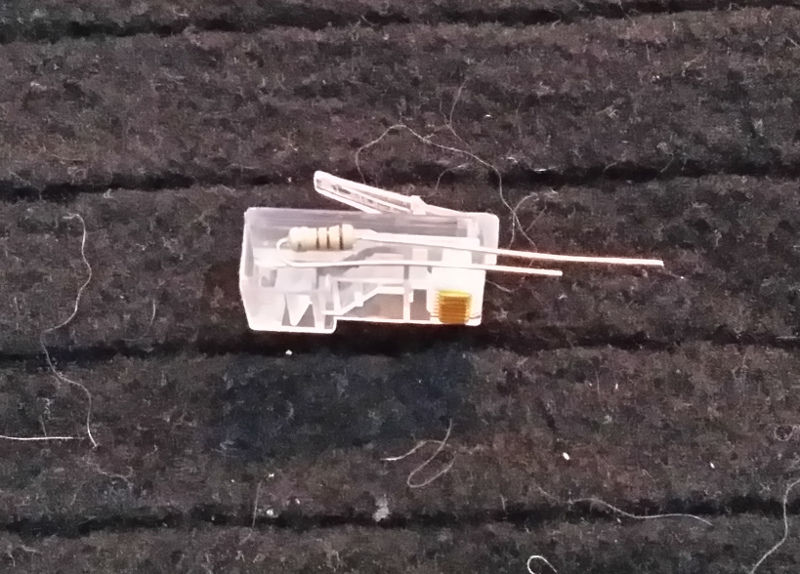 You want the body of the resistor to be just an the end of the pins. Trim the leads. I trim mine to XXmm. Add some scrap Cat5 wire insulation to the resistors leads before inserting hte resistor in the connector housing and crimping. Once your done, your can add a blob of hot glue or silastic the seal the end. There are two types of connectors dependant on your cable type, solid or stranded cable. 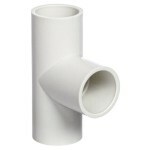 Try and purchase some connectors suitable for solid wire for this project. FAST was created by Cory Helmuth as a inexpensive snowfall or meteor tubes. Snowfall tubes are long clear plastic tubes that have a group of LEDs arranged in a linear fashion and the LEDs light in a sequential manner from the top to the bottom. The visual effect looks like a bright snowflake falling down. 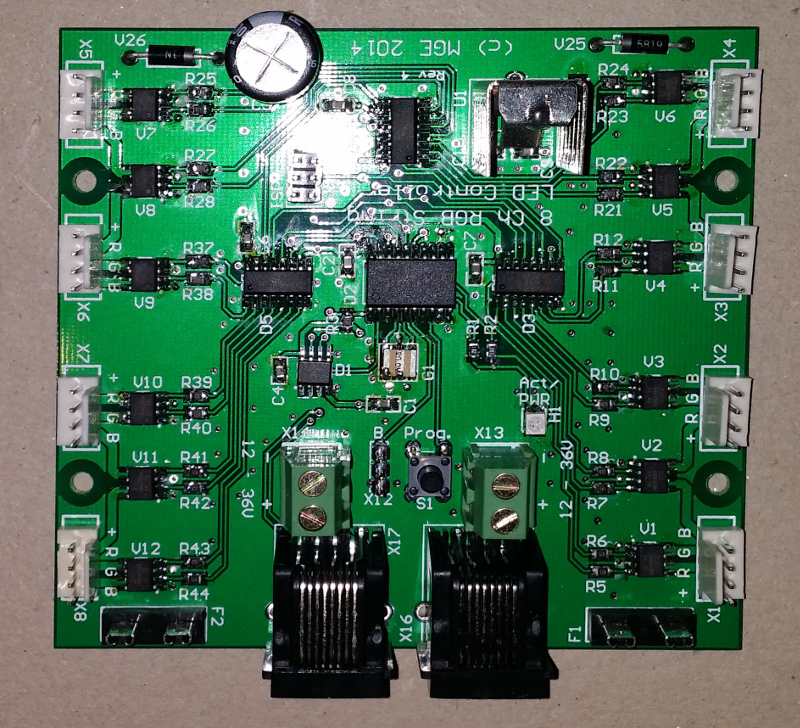 The FAST consists of a FAST Controller PCB that drives 1-8 LED Segment PCBs each with 7 LED’s per segment for a total of 7-56 SuperFlux LED’s. Based on the number of LED Segment Boards used, the snowfall tubes can be between 12″ to 48″ in length. The FAST is designed using a concept called Charlieplexing. 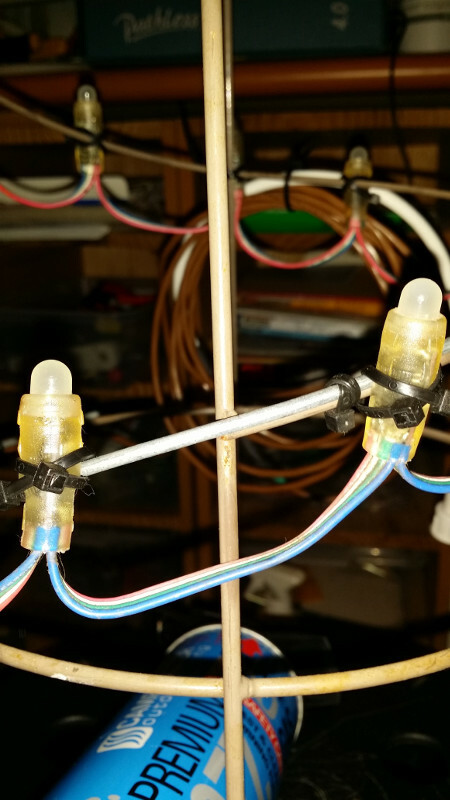 Charlieplexing, in its simplest form, works using a matrix of complementary pairs of LEDs. This allows a large number of LEDs to be driven by a small number of I/O pins from a PIC microcontroller. 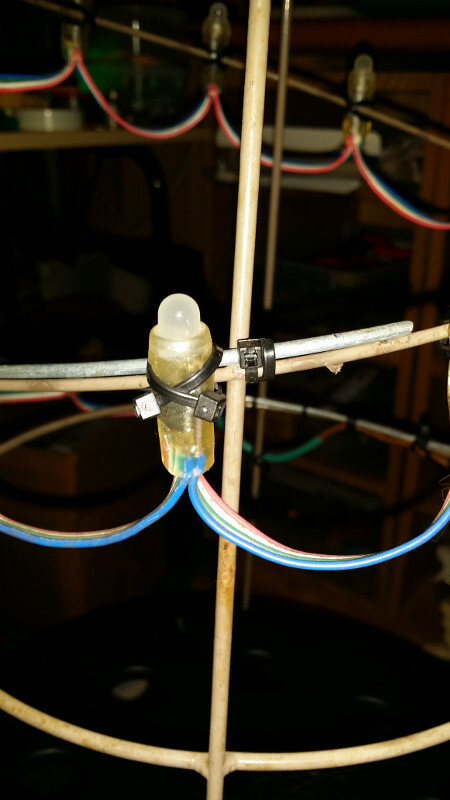 In the FAST, 56 LEDs are controlled using just 8 connections! I found the controller PCB too big to fit in the tube I sourced, so had to repurpose the Controller PCB. Initially I used strip board to. 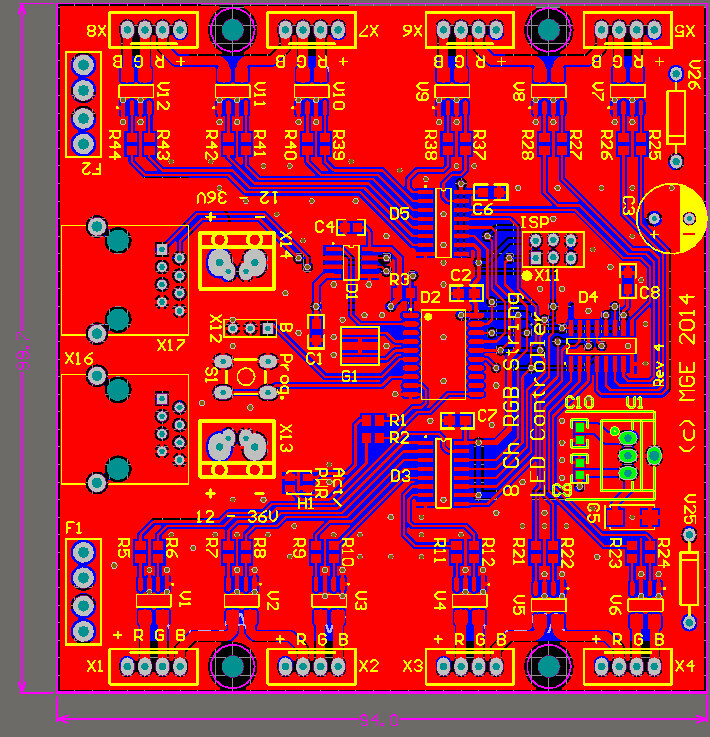 Eventually I decided a small PCB would make things tad easier. This article details how I progressed. Window outlines are a popular display items. They accentuate the house beautifully. 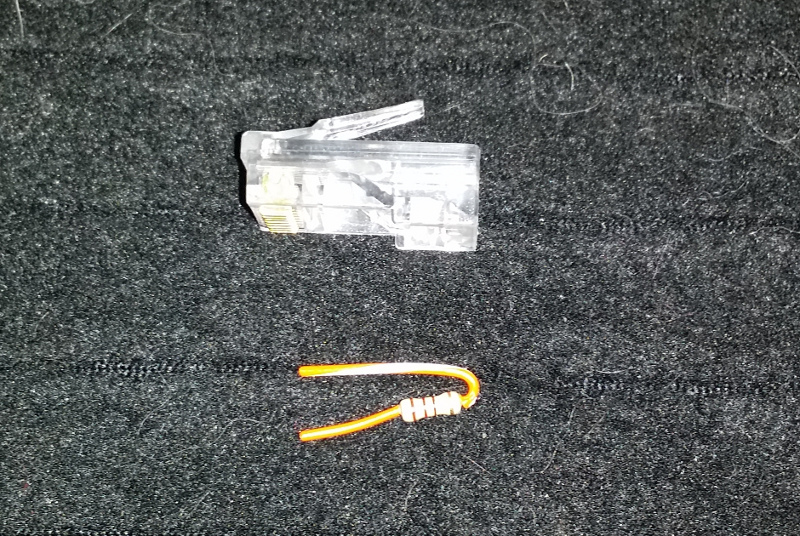 There are two things you’ll discover when installing windows lights – String length might be a problem, and tape won’t hold them. Whether you’re putting lights up inside or outside your windows, there are solutions available on the net. I used Rope light for a number of years, but they tend to droop in the middle and the corners end up rounded. 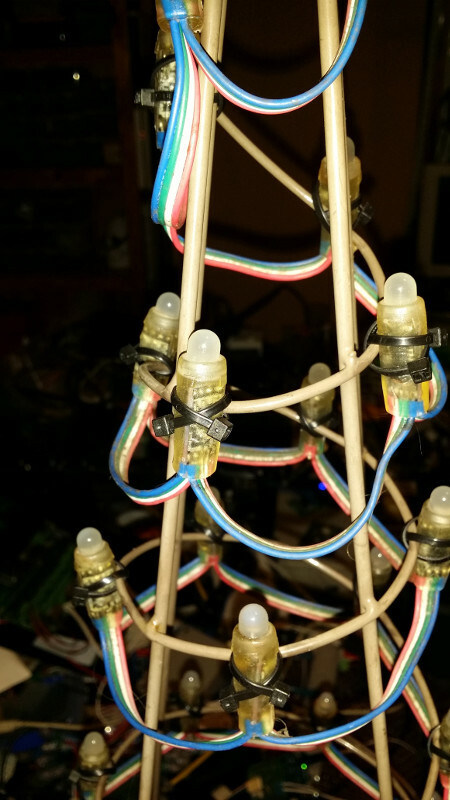 This year I am adding a more officiated design that uses RGB LEDs. The main concept is to build a free standing frame that sits inside the brick surrounds of the window. I discovered Air-conditioner tight elbow at my local electrician supply shop. 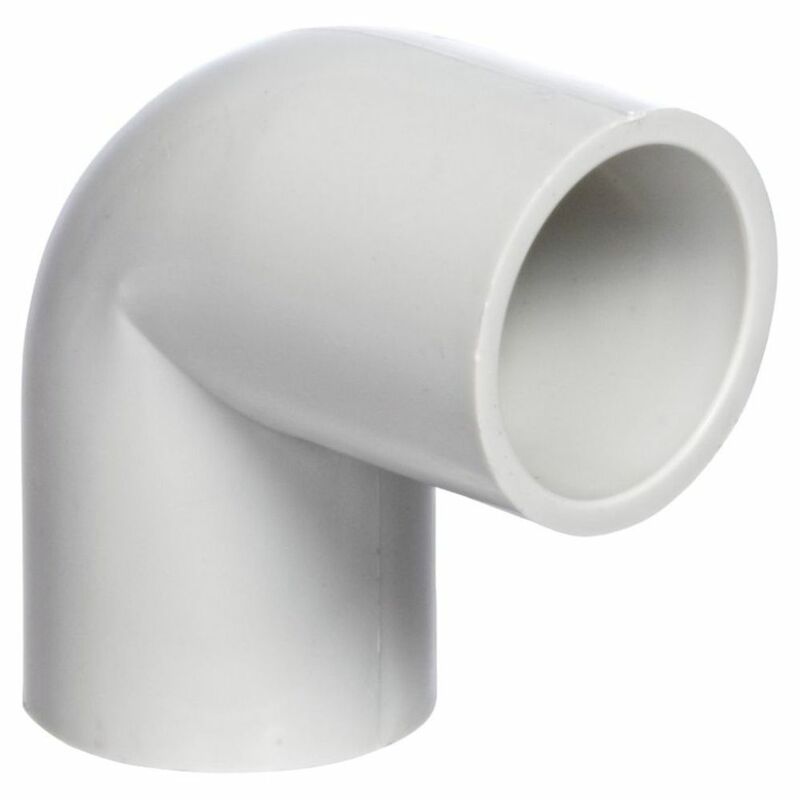 These elbows are usually used for removal of the condensate on hot days. They also make straight tees too. 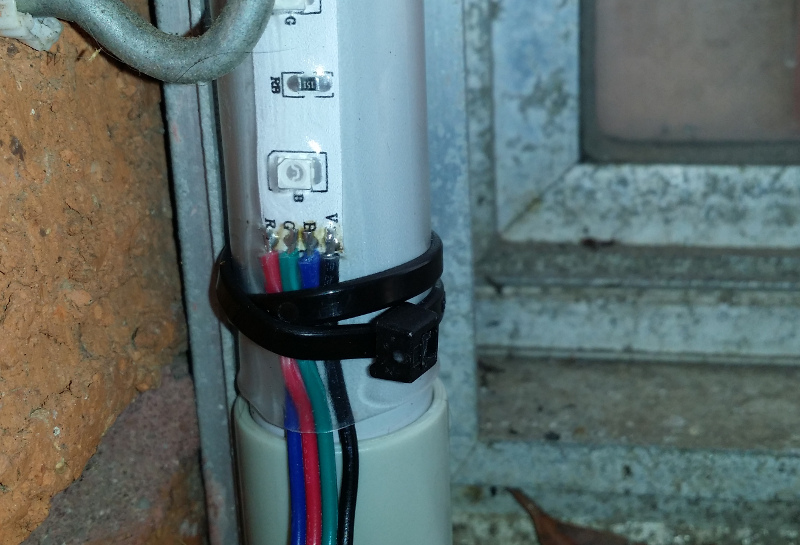 And they fits normal light duty conduit. The RGB LED strip was purchased from AliExpress. These are the actual ones I purchased. I scored them on sale as great sale. These Window outlines are designed to be completely dismantled for storage. Measure the window opening and subtract 10mm. Cut 20mm conduit to length to suit the window less 60mm. Carefully unroll the RGB LED strip and trim to maximise the lead. Remember you need to allow 20mm that slides in the elbow. Solder the RGB 4 core tails to both ends of the strip. Apply the PCB Lacquer onto the LED strip. Now the Fun Starts. 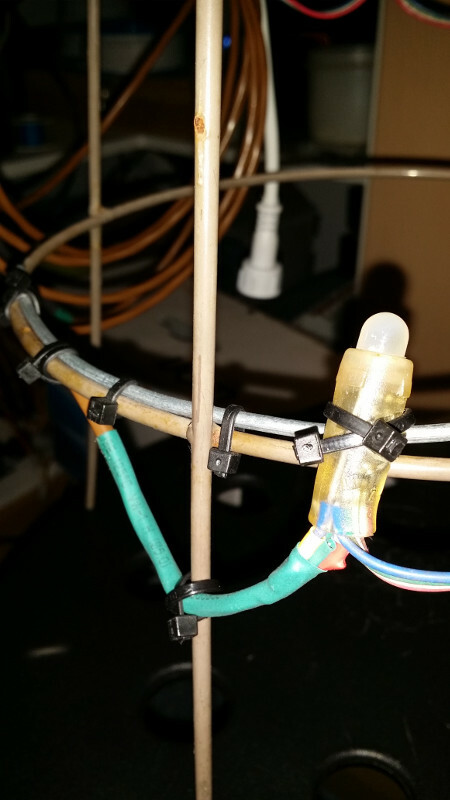 Sliding the clear heat shrink over the conduit and LED strip can be difficult. However after the first attempt, I discovered applying a very very light amount of Olive oil on the back of the conduit made life extremely easy. I dip my finger in extra virginal oil and smear it on the back. 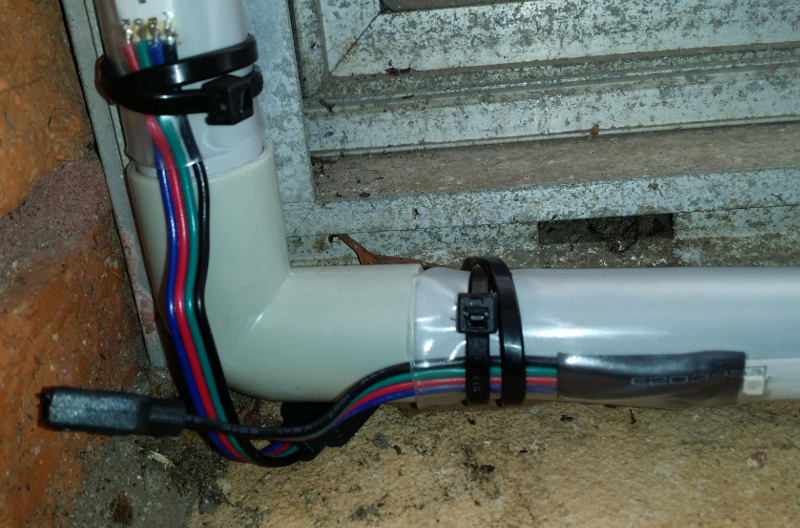 I only dip my finger twice over 2 metre of conduit. I just keep running my finger up and down the conduit . The clear heat shrink glides on. When the sides have been completed, it is time to do a trial run installation. All is good, Yes? As stated previously, I want to store these completing broken down. This means I need a mechanism to hold them together for the whole season, I decided to use bungee cord inside the conduit. I use 3mm bungee cord to keep the frame together. Measure the frame perimeter. cut the cord to the perimeter less 1.5meters. 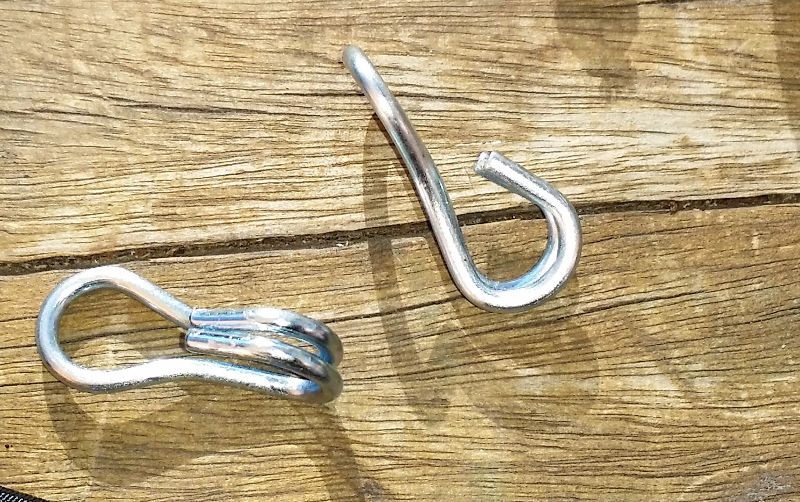 Knot a loop on one end. Tie a 1 metre length on bungee cord to the other end. Add a hook to the other end of bungee cord. 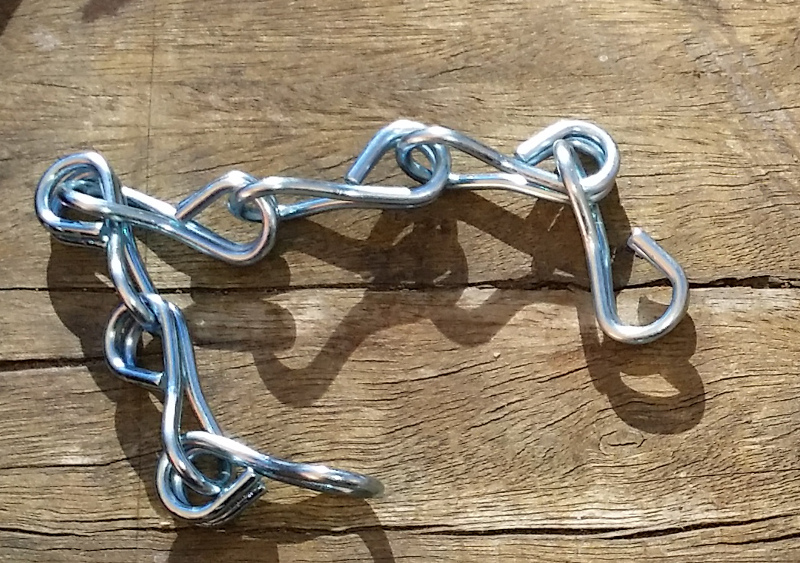 Using 150mm of 3mm wire form a “U” there will slide into the conduit. Bend 30mm of the wire ends back on itself to prevent the hook sliding completely into the conduit. 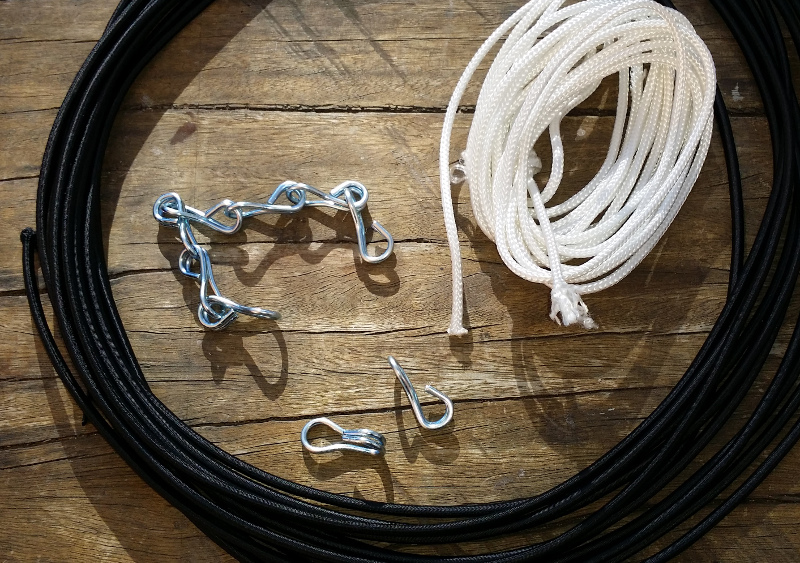 Hook the cord on the wire hook and feed the bungee cord and rope cord into the conduit and elbow pieces. the last bit is a bit tricky, you need to extend the bungee out of the far end and hook on to the cord. See below for a photographic record of construction. The FPP only has two option for RTC. A Rasclock and a DS1305. None of these seem to be available here in Australia. Bummer! 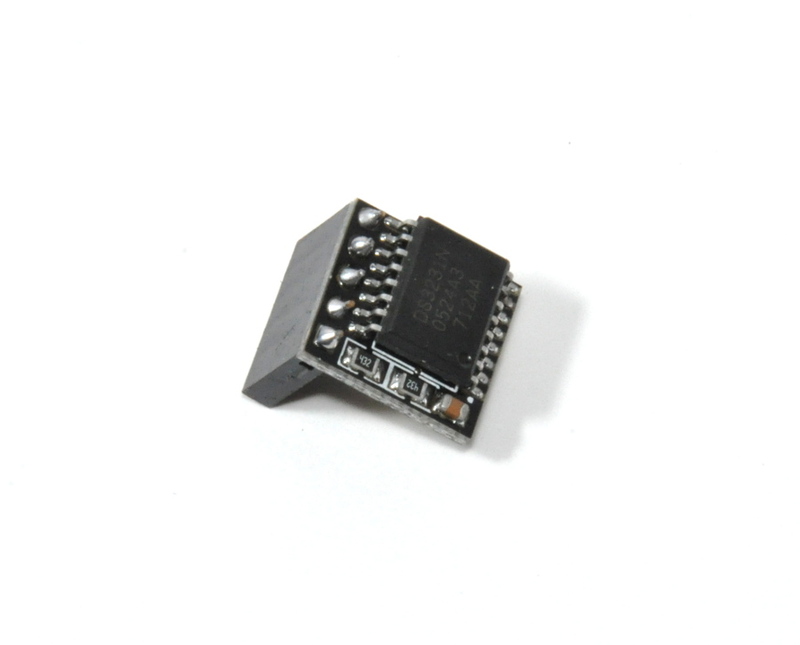 But SunFounder DS3231 RTC Real Time Clock Module seem to be all over Ebay for a couple of bucks. So I will try also. I finally made some time to start pulling my FPP together. 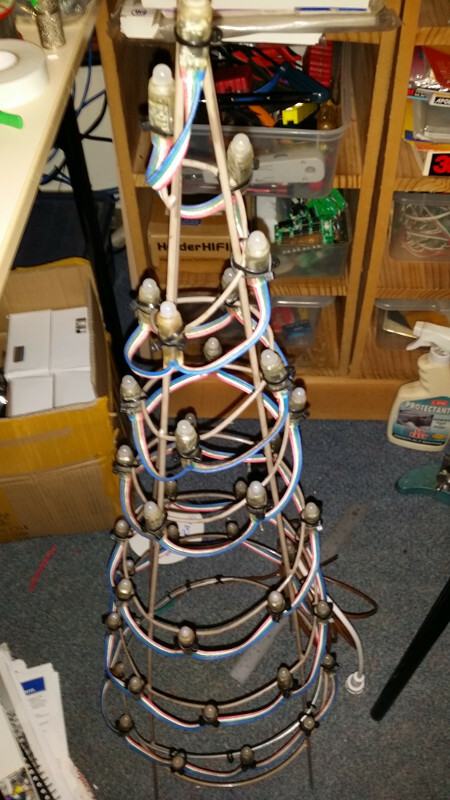 My goal is two fold – l prepare how I will play my Christmas lights this year, and learn some more stuff. I need to purchase another Wireless Mouse Keyboard that is more compatible. But for now that can wait. So I followed the instructions to create the SD card at http://falconchristmas.com/forum/index.php/topic,483.0.html. (MyKroFt’s Instructions are straight forward and clear). For the dummies out there like me, you copy the contents on the of the Zipped Folder not the unzipped folder to the SD Card. On Power up the Green LED flashes but the screen remains blank to a loon time. But then Surprise Surprise the screen started scrolling text. Yippee! Then the Falcon Christmas Splash screen popped up. It the disappears to a blank screen. So that is my first baby steps. I am happy to be starting the journey. Getting Wifi going Was easy. So there you go. In my case I was then able to type in the IP address of the Wifi and access the FPP home page. So I discovered today if I reboot the Access point the Pi is connected, the Pi doesn’t connect to the AP when it is back up. This will need to be parked for the time being As I am unsure where to go with this issue. My controllers use two LEDs to indicate controller status. H1 – DMX Activity flashes to indicate DMX data has been received and processed. H2 – Power / Error is on to indicating Power is ON and there are no errors. H2 flashes various patterns to indicate the type of error. The change of a relevant channel is indicated by a flashing green LED. flashing DMX data has been received and processed. Normal Operation. flashing There is no signal connected to the transceiver. Connect the transceiver to the DMX bus. double flashing The received signal is not DMX. Try swapping D+ and D- at the DMX connector. triple flashing Future Functionality. N/A. Each error condition is given an unique Odd number. The LED Flash period is set by an timer overflow. Come with me down the old memory lane. Imaging, if you will a dark dimly lit street in late 1990s. The roads are still red dirt. The sun has long gone down for it nightly rest. Life on the main streets in Vientiane, the capital of Loa PDR are alive with both locals and foreigners ( “forlang”) wondering from food cart to food cart selecting the nights meal. The selection is not as great as Thailand, but then again, you know this food is fresh. There isn’t the incessant Thai noise either. We finally select a “Motor boat” cart for our desert. Motor boats are a sweet fried delicious concoction of egg, butter, pastry, and sweetened condensed milk. So this morning I tried a similar product here in Australia. Ingredients needed are simple, Woolworths Tortillas, fresh eggs, Butter, raw sugar, and sweetened Condensed Milk. Place the pastry on a place tortilla down. Add sprinkle of raw sugar, and then drizzle a small amount of Condensed Milk on top. Fold 3 sides of the pastry over into an open envelop format. Serve hot. Optional extras include authentic red dirt and 2 Stroke soot from neighbouring road.